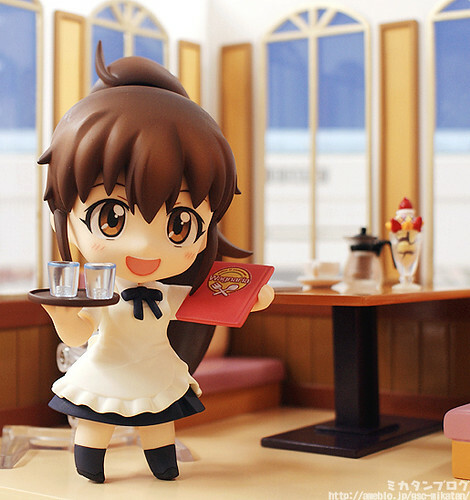 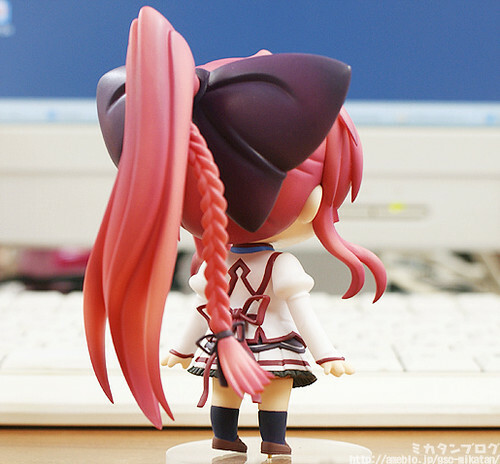 Nendoroid Taneshima Popura, as previously known, will bring along 3 expression, the restaurant’s menu, a tray with some glasses being placed on it, a footstool, as well as some optional body parts to re-create the scene from the manga/anime. 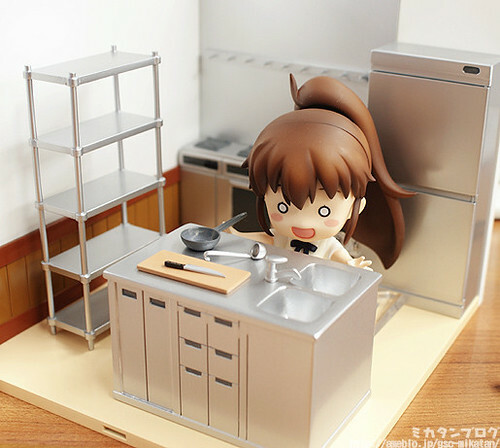 Anyway, the Wagnaria Playset is divided into 2 parts: A and B. 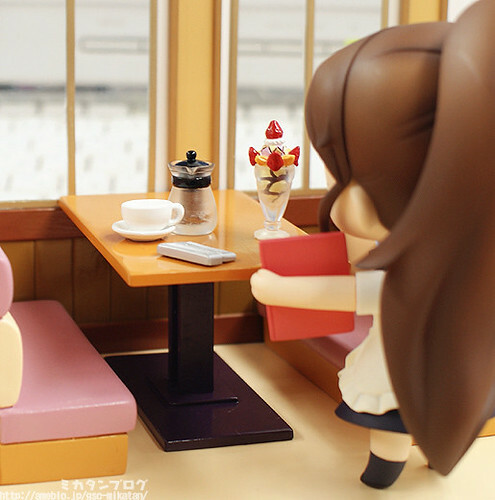 Set A will contain two windowed walls, the floor, a table, and two restaurant sofas. 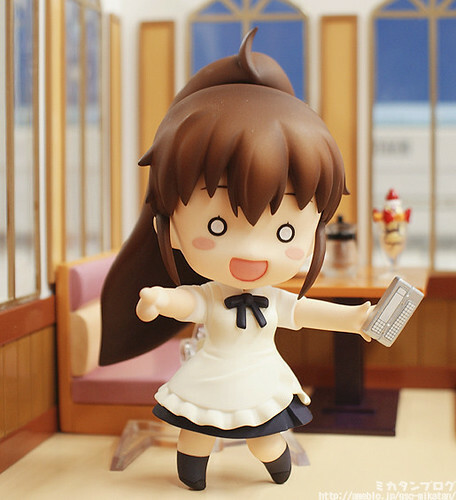 It also comes with some extras: a parfait, a coffee cup, a saucer, a coffee pot, and the order-taking device, as well as the Wagnaria signboard. 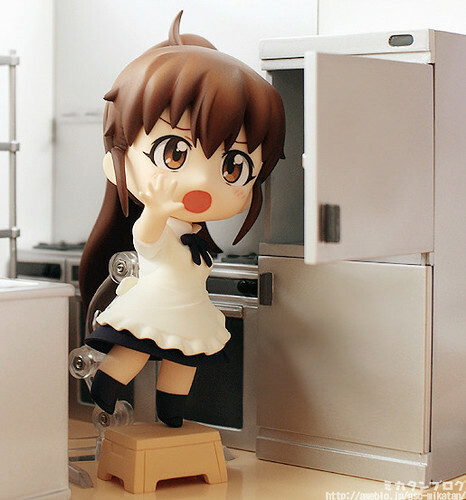 This entry was posted in News and tagged inui sana, mashiroiro symphony, max factory, nendoroid, phat company, playset, taneshima popura, wagnaria, working.